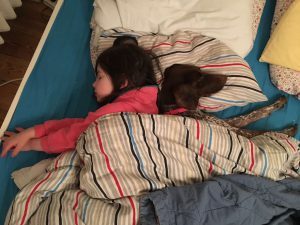 Foster Home - Pointer-Freunde e.V. Why get a dog from abroad? 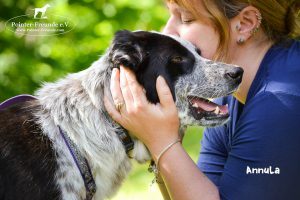 Foster Homes are an important part of animal welfare. As a foster parent you are the temporary family for the dog and give him the possibility to make his first steps into his own family. The function as a foster home is voluntary. Our dogs are covered through our insurance and we also cover the necessary fees for the vet and medication (Veterinary visits have to be agreed by us in advance, if it is not an emergency). The foster home is only responsible for bearing the costs of the dog food. Apart from food, water, walks, social contacts, cuddles and sleep, the dog also needs some basic education in order to prepare him for his upcoming life in the new family. If you would like to support us as a foster home, you should be aware of the fact that most of the dogs are not familiar with many things from our daily life, some may not be house-trained, don’t want to stay at home alone or even break something. Please also keep in mind that the day will come, when you will have to let your foster dog go. We cannot give you an exact time frame of how long it takes to find a forever family for him. During that period we will of course be in touch with you on a regular basis and provide you with advice and assistance. You will be given full support. Beforehand please bear in mind that it needs to be permitted by your landlord to keep a dog in your flat/house. We would be happy to hear from you, if you can imagine to support our work as a foster home! If there are children, how old are they? If so, what kind of pet? If so, for what reasons? What do you expect from this dog? What character traits or characteristics should your new dog definitely NOT have? Why would you like to become a foster home?